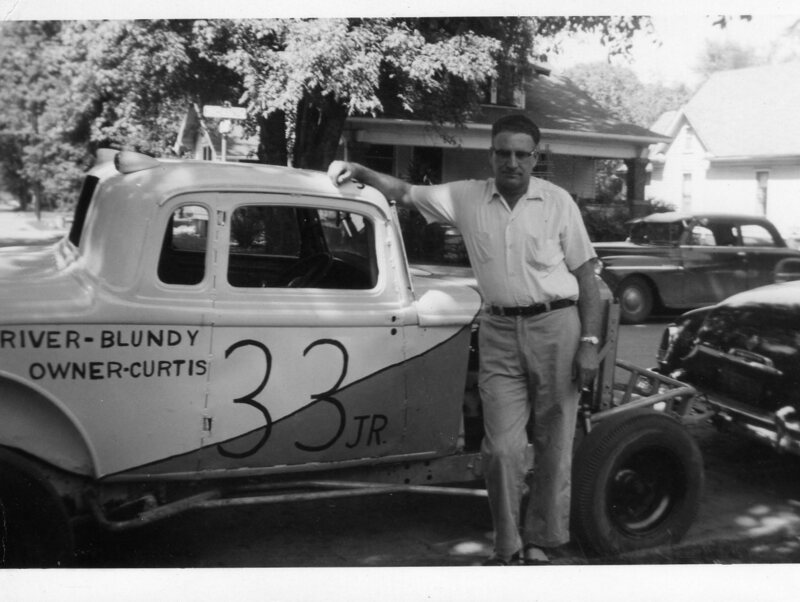 33 Plymouth with Cadillac power owned an built by Bill Curtis Sr. and driven by Jerry Blundy.Raced at Illinois tracks in Bushnell, Macomb, Knoxville,Jacksonville, Pittsfield, Peoria, Canton. As a youngster, my Dad worked at a track in Lincoln, IL. He would take to the track every Sunday night. One of my favorites was Jerry Blundy driving 117 modified. He was dominating! I`m sorry I don`t have any information about that. I lived in Denver for most of my early years and watched my uncles races at Lakeside. I hope you enjoy the site and will return.